Flagcoco celebrates the best high school rivalry in Arizona and the city that hosts it. Taking that celebration to the next level, we will take a shot at podcasts. They will be free, easily accessible, interview-driven, informative, and hopefully a little entertaining as well. 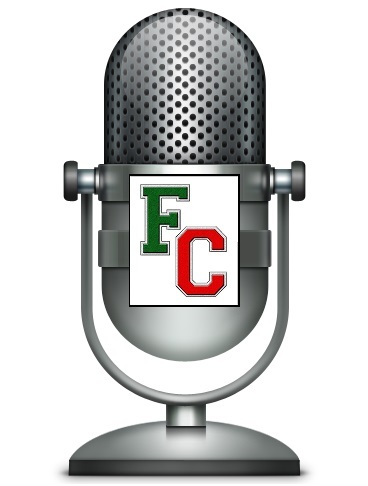 STUDENT INTERVIEW PROTOCOL: If you are a student at Coconino or Flagstaff High Schools and are considering being a guest on the show, you are asked to get permission from your parents/legal guardians as well as your current head coach. We don't want any surprises. All interviews will be edited and topics will be discussed beforehand. For the sake of record, permission may be sent to Flagcoco via email: flagcoco69@gmail.com. MUSICAL OFFERINGS: We hope to be able to promote local bands by airing samples of their music. If you are a musician with Flagstaff roots, we'd be delighted to highlight your work. The genre does not matter, we hope to be a haven for all kinds of music, so long as the lyrics are audience-appropriate.